Saturday morning was the Dallas Running Clubs Independence Day 5K/10K with the start and finish at Winfrey Point. This is the view of downtown Dallas from the top of the hill taken with my iPhone. 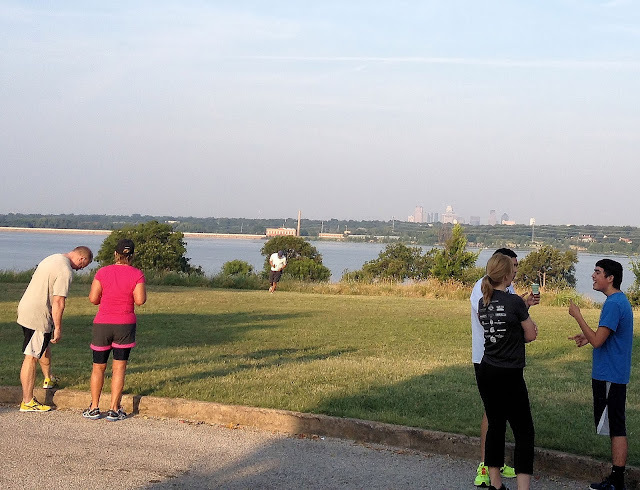 July 14th is the 5K/15K Too Hot to Handle at Norbuck Park, and ran along White Rock Lake. I've signed up for the 15K.